Samples of cards for every occasion! 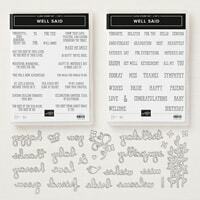 Today I’m sharing another card from the Sympathy Card Class – the “Well Said” Sympathy card is another “quick & easy” card using Floral Romance Designer Series Paper and the Well Written Framelits Dies. Notice that I used a small strip of the same DSP to make the envelope as appealing as the card. 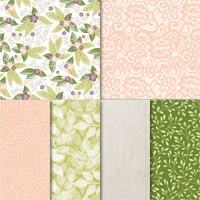 Cut Floral Romance DSP Cardstock at 5-1/4″ x 4″. 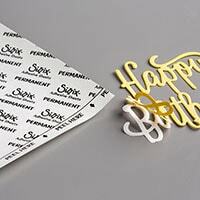 Use Snail Adhesive to attach to the card base. 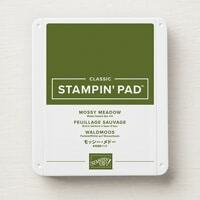 Cut Mossy Meadow Cardstock at 1-1/2″ x 5″. 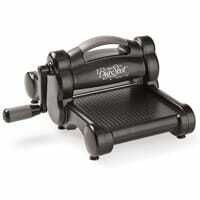 Use the Embossing Buddy to ensure cardstock is clean and ready for heat embossing. 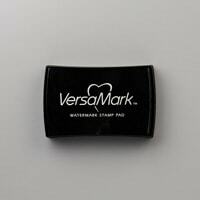 Use Versamark ink to stamp greeting near the left-hand side. Sprinkle with White Embossing Powder. 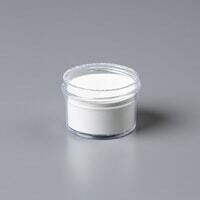 Melt with Heat Tool. Use Stampin’ Dimensionals to attach over DSP. 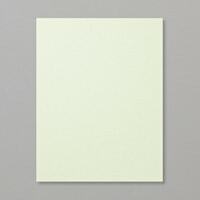 Cut Soft Sea Foam Cardstock at 1-1/2″ x 4″. 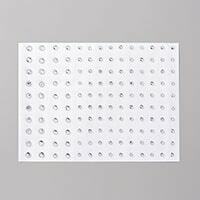 Cut Adhesive Sheet at 1-1/2″ x 4″. 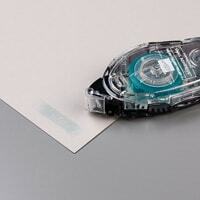 Peel 1 side of backing from adhesive sheet layer – attach the adhesive sheet to Soft Sea Foam Cardstock. Use Big Shot and Well Written Framelits Dies to cut out “sympathy”. 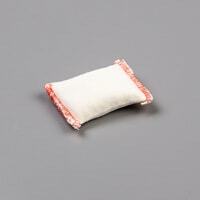 Peel off the 2nd side of adhesive layer – attach to Mossy Meadow greeting layer. Embellish with Rhinestone Basic Jewels. Recently I attended a class at my friend’s house, Karen Duke, where we made this really cute “Cut and Flip Card”! Well, I’m not sure what the exact title of the card design is but I’ve started using “Cut and Flip Card” to describe it at my classes because, the way I see it, that is exactly what we do! We create our usual card base, cut off a piece of the top layer and flip it to use as the base for the greeting so don’t you think it could be called “Cut and Flip Card”? As you can see, each card looks different when you choose different Designer Series Paper so your options are endless! I know there are many other stamp sets that could be used for the greeting layer but for now I have been concentrating on birthday cards. Cut Basic Gray Cardstock at 4-1/4″ x 11-1/2” – Fold in 1/2 to create standard card size of 5-1/2″ x 4-1/4″. 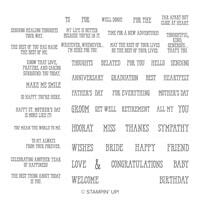 Cut a piece off the top layer of Basic Gray Cardstock at 4-1/4″ x 2-3/4 – keep it to use as the background for the greeting. 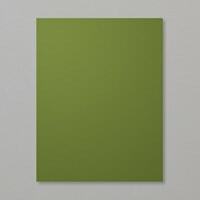 Cut 2018-2020 In Color Designer Series Paper at 4″ x 2-1/2″. 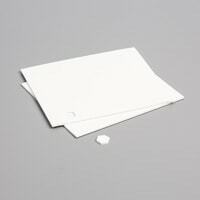 Use Snail Adhesive to attach to the left-hand side of the front of the card base. 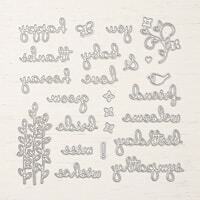 Cut Whisper White Cardstock at 4″ x 2-1/2″. Use Tuxedo Memento Black Ink to stamp the greeting and the cake. Use Granny Apple Green Blends to colour the word “cake”, “decorate” the cake and colour the Heart Epoxy Droplets. 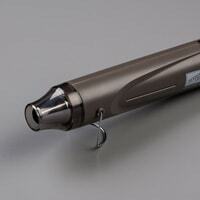 Use Snail Adhesive to attach to the Basic Gray layer that measures 4-1/4″ x 2-3/4. Use Snail Adhesive to attach the completed greeting crossways – glueing only the area that will be over the DSP. 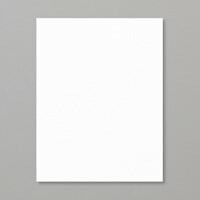 Cut Whisper White Cardstock at 4″ x 5-1/4″. Use Tuxedo Memento Black Ink to stamp the inside greeting. Use Snail Adhesive to attach inside the card base.